In 2011, there was a woman who consistently occupied the back, right corner of the adult literacy classroom. She had a demure personality, and would rarely make eye contact when spoken too. Although timid, there was always a strong determination demonstrated by her diligence in completing schoolwork and her timeliness when handing in assignments. The woman’s name was Ana Rebecca. Ana was one of 16 children. By the time she was 8, she was going to the Guatemala City Garbage Dump with her mother, scavenging for items to sell, to support her family. 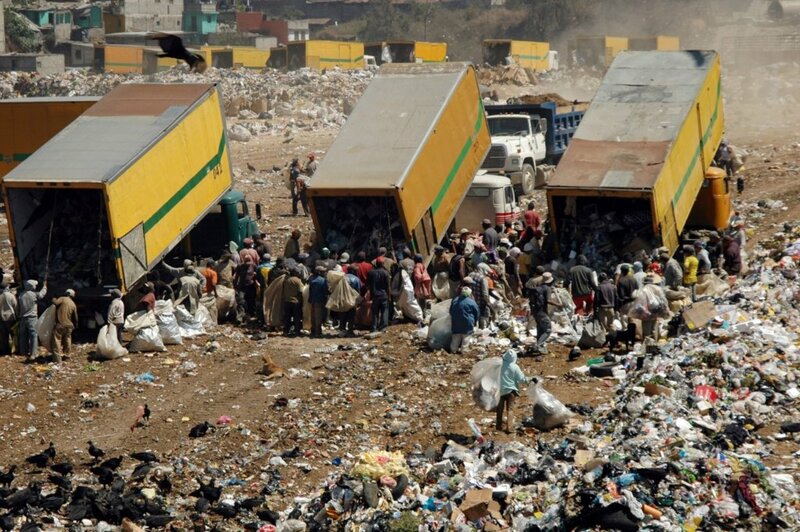 When Ana finally had a family of her own, she continued to go to the dump, as she knew this was the most secure income available to her. Ana states that from the moment she knew she was going to be a mom, she was determined to provide a different life for her children. She enrolled all of her four girls in school as soon as she could, and decided she was going to do whatever it took to ensure her children did not have to ever work in the dump. Ana was 27 when she decided to go back to school. Her main motive was her desire to help her daughters complete their homework. She entered the Safe Passage’s Adult Literacy Program as a first grader. 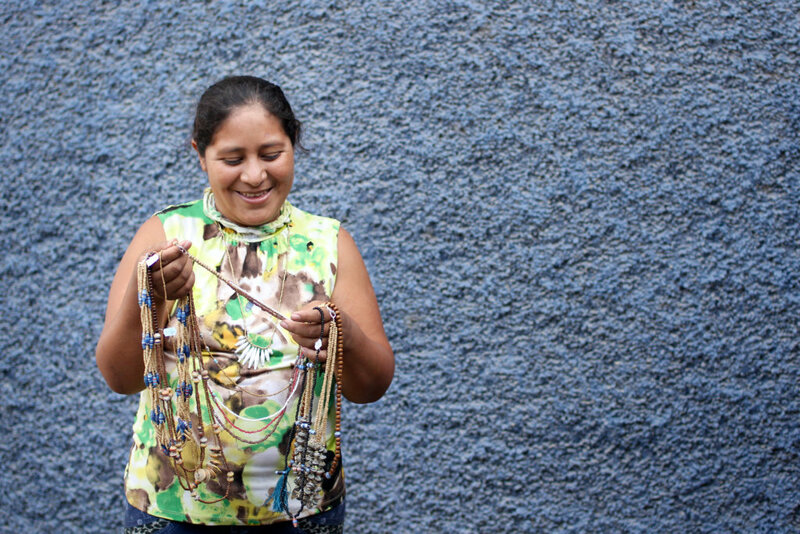 After a year of studying, she made the bold decision to enter Creamos as a jewelry maker. With assiduous attention to detail in her work, her skills became more refined and we were beginning to witness a transformation in Ana. When we spoke with her, her eye contact was improving and her answers were becoming more expansive. 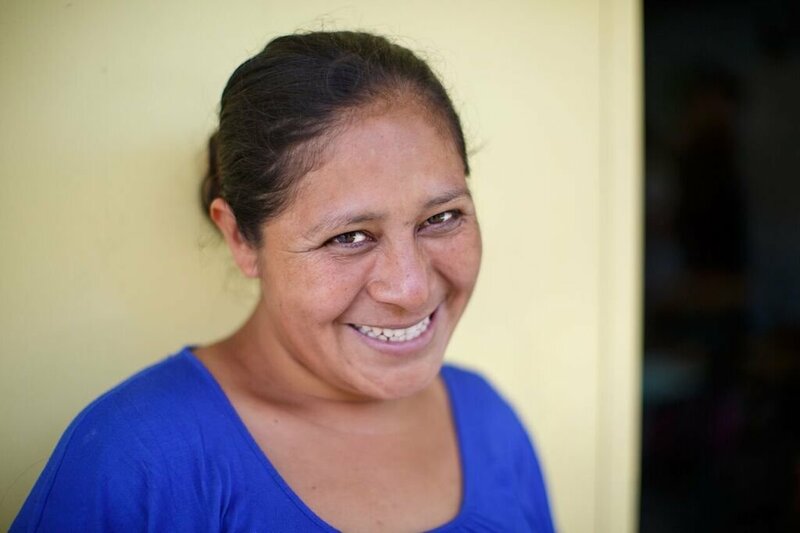 Ana swiftly graduated from the training program and was soon earning a livable wage. 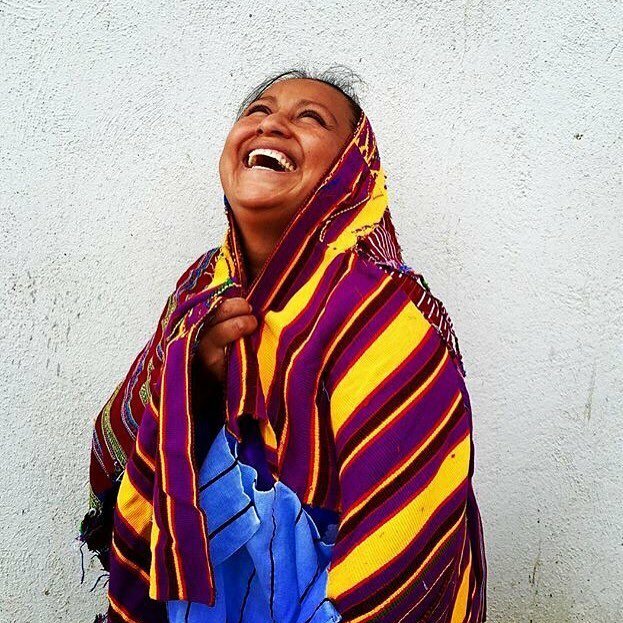 For the first time since she was 8, Ana was no longer working in the garbage dump. 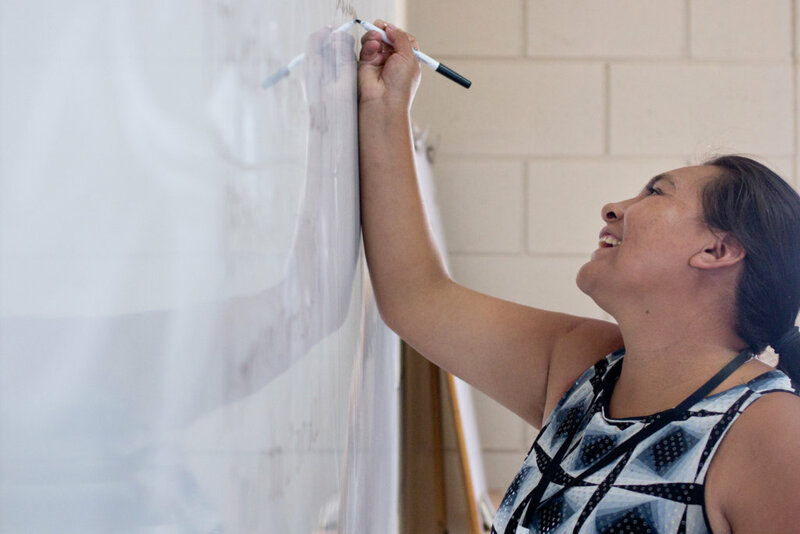 Just three years after beginning her studies, she was preparing to walk across the stage for her 6th grade graduation, and two years later she graduated from middle school. 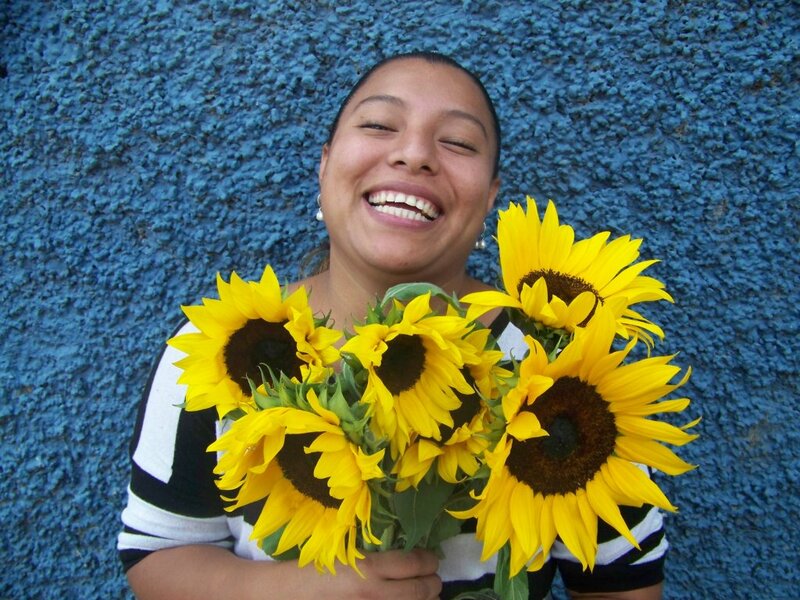 As her educational journey progressed, Ana’s persona and self-esteem blossomed. This was manifested in her innovative jewelry designs and her proud smile when she handed in her work. In addition, we saw her growth demonstrated in her participation in Creamos’ extracurricular activities and her new friends and colleagues in whom she confided. Ana was no longer the quiet woman in the corner. She was a leader within the organization. 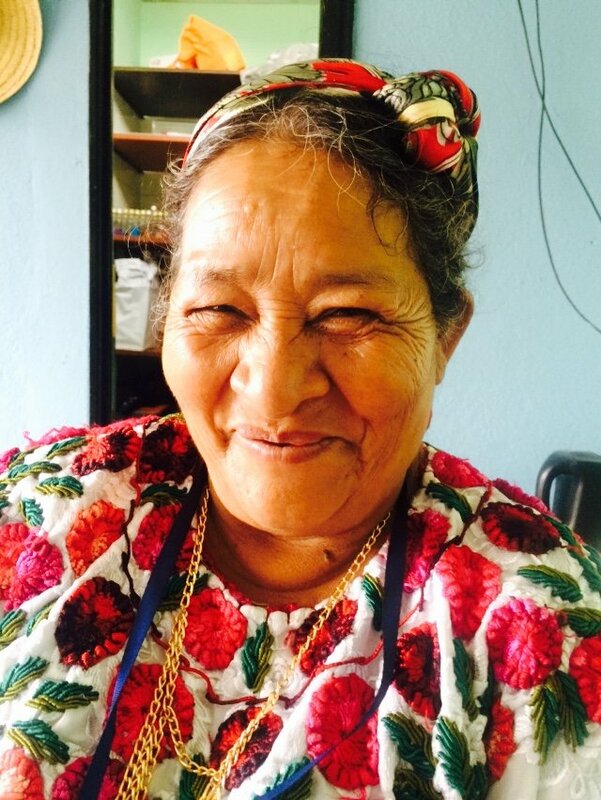 Today, Ana has earned her position as Creamos’ Product Instructor and receives a regular monthly stipend for her work. Her teaching style is nurturing yet she believes in holding her students accountable. In her trainings, she creates a supportive environment and fosters trust with other women. We wholeheartedly believe that much of Creamos’ growth is due to Ana’s welcoming nature with new women in the program. We have watched so many new artisans show off their new skills and make the similar changes Ana made. These women have never failed to credit “my teacher Ana”. 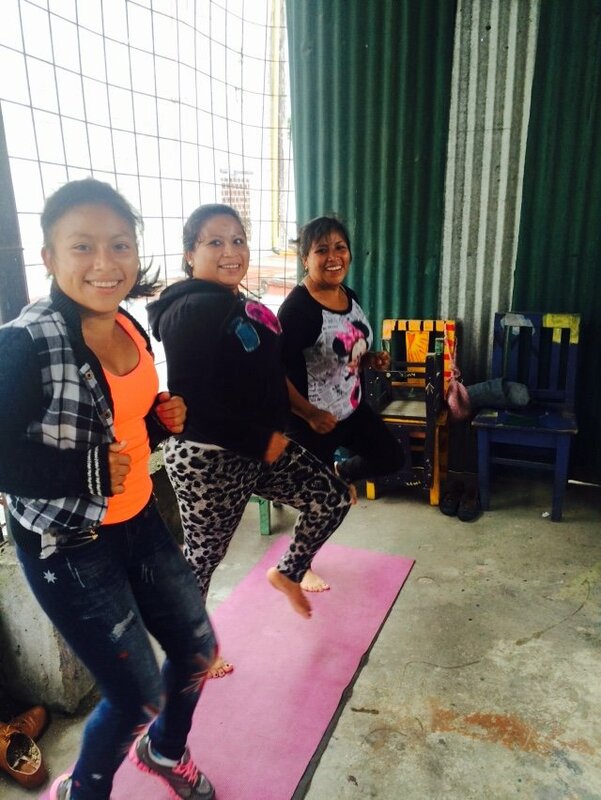 Creamos’ mission is to create long-term financial, emotional and educational opportunities for the local women and families in the community surrounding the Guatemala City Garbage Dump. For the past ten years, Creamos has gradually grown from a initiative, to a program, to an association. Taking the time to reflect on past successes while looking to improve aspects of our organization is imperative for continued progress. Since inception, one of Creamos’ primary organizational goals has been sustainability in both a financial and leadership aspect. Participant leadership has always been an important component of our vision; however, this dream forces us to often confront interpersonal conflicts and mistrust amongst affiliates. Despite these clashes, certain women have emerged as leaders in our organization. These women have defied societal norms and fought for a better future for themselves, their families and colleagues. Creamos recognizes these women as our future leaders, managers and directors of the organization. Although one may identify her as one of the more humble participants, Irma G. has been a leader for the last ten years. Three years ago, one of our participants in the program was losing her sight and could not complete an order for a notable client. Irma anonymously handed in double the amount of money that was asked in order to ensure the woman would get paid. No matter how many hardships Irma experiences at home, she has been one of the women we can rely on to emotionally support other women and go the extra mile to complete orders. Two years ago, we appointed her as the leader of our newest initiatives, Wakami. 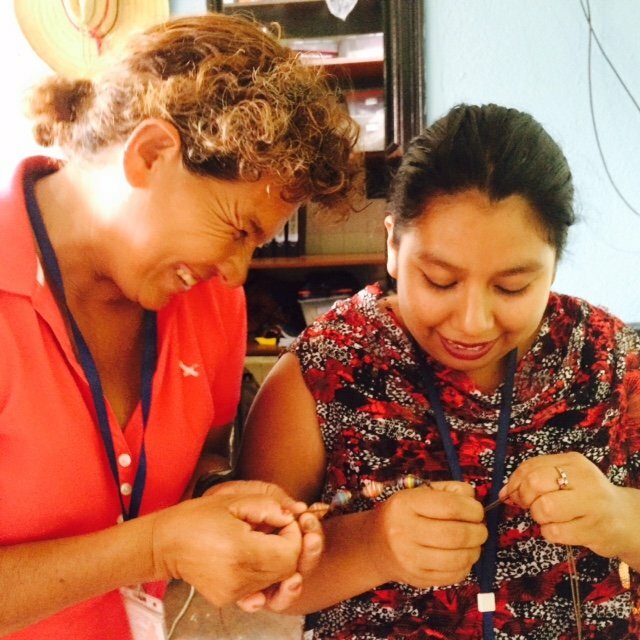 Wakami is a Guatemalan company who has trained Creamos participants to produce macro-made jewelry. Wakami teaches our chosen leaders specific jewelry techniques, and the leaders are then responsible for disseminating the information and skills to the rest of the women. In addition, this leader is responsible for the distribution and production of orders, facilitating trainings, organizing payments, and holding colleagues accountable for issues regarding respect and timeliness. Although Irma was hesitant to accept this role in the beginning, she has thrived as a leader. She has been challenged to rise up in times when conflict resolution was needed, devised and implemented creative strategies to ensure orders are completed, and has fostered a culture of fairness and accountability. She advocates for other women when she sees injustice, while also setting clear expectations of their behavior. Watching Irma interact with the group of whom she leads, is something special, and the respect she has earned from the rest of the participants is indisputable. Despite her innate leadership abilities, Irma is very adamant that she is first and foremost a mom. 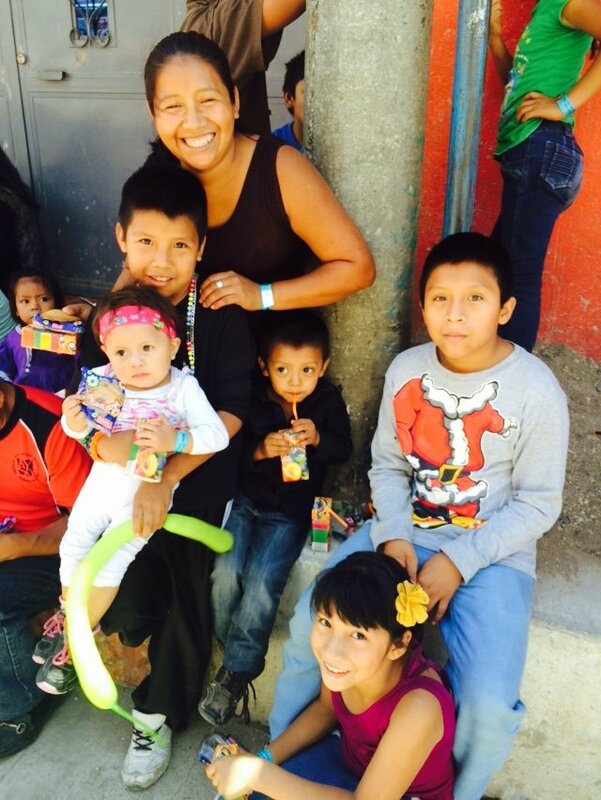 Irma has single handedly raised her 6 children and continues to ensure they have access quality education and support from her. Irma’s two daughters are following her mom’s footsteps and working for Creamos while they continue to study. She uses her extra earnings from her leadership role to provide for her family and foster a nurturing environment in her home. Our vision at Creamos is to foster leadership amongst our affiliates because we believe in them. We believe Creamos can one day be an organization that is run through the skills and leadership of our participants. 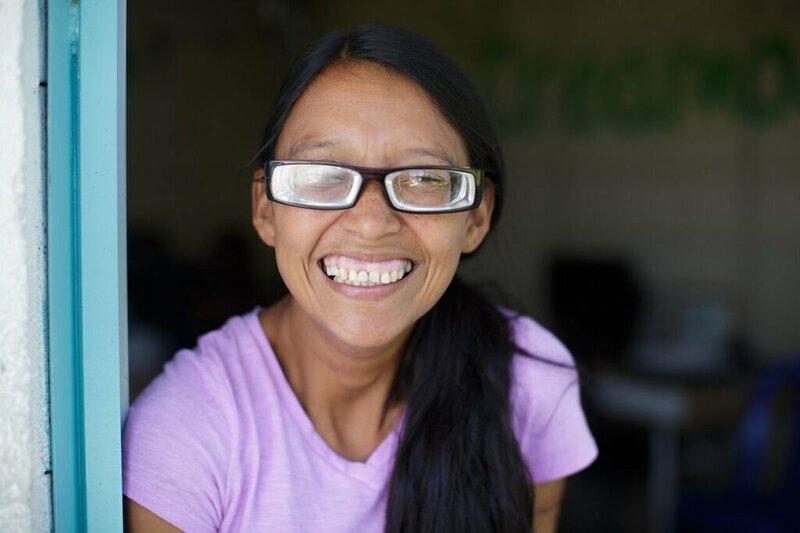 Through methodical leadership training, access to education and thoughtful organizational structure, we know we will soon be able to tell many more stories of leaders like Irma. I want to buy my child a new pair of shoes. I don’t want to be dependent on anyone else’s’ income. I need to buy medicine. I want to go back and study. When asked the question “Do you believe savings is important?” 100% of our affiliates answer yes. However, when we ask our financial literacy groups in their first class “How many of you are currently saving money?,” the room goes quiet and more often then not, no one raises their hands. So what is the barrier between this concept of savings to actually opening up a savings accounts? Throughout the past two years, Creamos has been trying to find an answer to this question, as well as offer financial opportunities to our participants. Our hope is to increase their sense of security and independence in all areas of life, beginning with their financies. We have been facilitating our six-week financial literacy workshop since 2016, focusing on savings, budgeting, debt management, and bank services. In total, Creamos has graduated 55 women from the program and we are expecting to graduate over 75 by the end of 2018. Every woman that has graduated from the financial literacy workshop has increased her score from pre-test to post test. In addition, most women were able to consistently save throughout the duration of the workshop. Upon graduation of the six-week course, we quickly noticed that savings habits dramatically decreased. Although women demonstrated changes in thought patterns and presented an increase in knowledge, it was evident that women were going to need more follow up to make sustainable changes to their savings habits. Creamos personnel worked with the participants to understand why, after a six-week period of saving weekly, women were no longer saving. Women reported there was not enough money and there expenses were too high. Finally, after multiple interviews of hearing the similar reasons, we decided to ask our affiliates what could help them save. Several women stated that incentivizing savings could increase the level of motivation for women to save. In 2017, Creamos piloted our first matched savings program. The program took place over 21 weeks. Out of the 35 participants, 100% opened up a savings account, and the average amount women saved was $75.00 in 21 weeks. After seeing the successful results of the 21-week program, we decided to challenge our women even more. In January 2018, we decided to extend the program from 21-weeks to a whole year. We currently have 41 women in that savings program – and on average, women have already saved $53.00. We continue to support the battle of our affiliates in their quest for financial freedom. Throughout our workshops and programs, we always incorporate a safety-planning component, and review the risk and protective factors of economic abuse. Creamos measures financial freedom not solely by the amount of money you have, but by the safety of your environment as well. We look forward to supporting more women find this independence in the securest way they can. In this past month, our organization passed the one-year anniversary of the devastating fire that burned down our sewing workshop. Despite all of the machinery and material we lost, the Creamos team has worked tirelessly to rebuild the program with a stronger and more sustainable foundation. Not even a week after our fire, we called upon Creamos’ support system through GlobalGiving to help us through the rebuilding process. We were overwhelmed with generosity, and we knew it was time to get back to work. We began this process by analyzing the most rudimentary aspects of our business model. On the ground level, we addressed previous spacing issues in order to make the production process more efficient. We were able to replace most of our industrial machines and rebuild our Sewing Lab in a brand-new space. 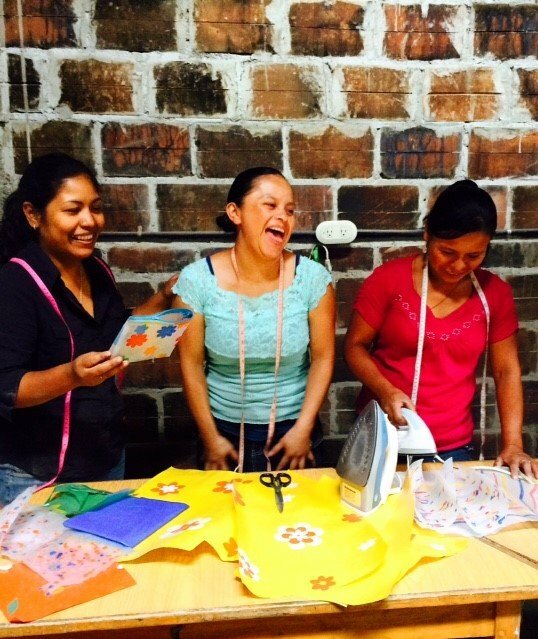 This allowed our sewing workshop to be closer to Creamos’ offices, and enabled staff to be more involved in the daily activities of the program. Creamos hired a new sewing teacher, who is the co-founder of a local fashion company, Casa Flor. Since her first day, her goal has been for Creamos to be the main producers for her brand. We then selected ten women we felt could adequately sustain the program in the short term, and eventually, take over as leaders in the long term. In the beginning, we only accepted small sewing orders. As their sewing skills developed, we confidently took on more production and larger orders. In the first three months, our program completed five orders of complex accessories, which included: tote bags, pillowcases, folders and shoe bags. The speed in which the women were able to master their craft has lent itself to dramatic increases in their personal income. Since the beginning of fiscal year 2018, our program has continued to make the necessary improvements that will help us reach our long-term goals. Our participants have fully acquired the skills to independently create prototypes for companies based in Guatemala. Due to these women's relentless work ethic, some of them have been able to rely entirely on the sewing program for their main source of income. After the destruction left by the fire on March 26, 2017, we were forced to think prudently about the future of our sewing program. We are proud to say today that we have watched 12 women fight through the frustrations of learning and “starting over” and provided themselves with a greater sense of financial independence and freedom. Liby and Eva run for independence together! It was our first day back, and we heard a faint tap on the door. We looked behind us and saw it was Eva, waiting to wish us a happy new year with her huge smile. After our three-week vacation, her enthusiasm permeated the room. Eva was first introduced to Creamos through her sister, Liby. The two siblings had been close since they were younger, so naturally, when Liby began exercising with Creamos, her immediate reaction was, “I have to bring my sister.” Since that time, they both have said on separate occasions, that they have never felt closer than they do now. They exercise together, they work together, and they motivate and support each other unconditionally. This year, they have big plans, both personally and professionally. Given the instability in which our most of our affiliates live, we always begin the year with intention and new strategies to counterbalance this unpredictable environment. We do this so woman like Liby and Eva can have a safe and empowering place to not only earn a living but be provided opportunities to learn and grow. In this upcoming year, we hope to piggyback off the successes we had in 2017, while also implementing new strategies and projects from what we learned during the tougher moments of 2017. At the end of last year, we conducted community surveys with our Creamos members to see what they would like to see for this year. Most of the new projects and changes for 2018 have been derived from the women themselves. Healthy Relationship Support Group: Creamos has graduated three cycles of our healthy relationship support group for our highest risk cases of intimate partner violence. After the conclusion of each group, we ask for feedback and all groups stated they desired a second group, focusing on how one’s child rearing is influenced by violence in the home. This past year, we worked to adapt and create a curriculum that focuses on the intersection between parenting and intimate partner violence. We are eager to begin this group and hear the feedback from our participants! 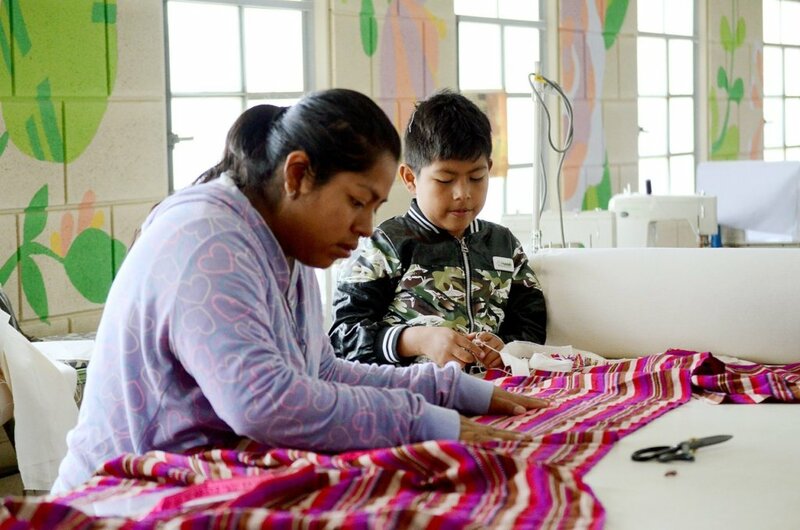 Sewing: It is hard to conceptualize all our sewing program has been through in the last year – from a fire burning down our workshop, to receiving overwhelming encouragement and generosity from our Creamos supporters, to welcoming a new teacher and getting our program up and running. We can say, with the utmost confidence, that our program is stronger than it has ever been. Although our women just learned how to sew in July, they have already completed five orders ranging from market bags, to napkins, to conference bags and a variety of home decor. As the sewing ability of our women continues to grow, we plan on diversifying our products. This year, we are excited to begin apparel and more complex accessories. We strongly believe that by offering this genre of products, we can dramatically increase the income of our sewing participants while adding approximately 10 more women in the company. Financial Literacy: Last year, we saw remarkable changes in our affiliates through the growth of our financial literacy program. We continued to offer our six-week evidence based curriculum, graduating in total, 45 women. Furthermore, we added a matched savings program, where women had the opportunity to save a small amount every week, and then receive a bonus at the end based on the frequency of their savings. Out of the 35 participants in the savings program over 90% saved with Creamos. In this upcoming year, we plan to begin facilitating the six-week program with the children of Safe Passage, our parent organization. In addition, we will continue our matched savings program however, instead of 21 week cycles, we will implement an annual matched savings program. Women will be required to save a small amount throughout the entire year thereby increasing their frequency and amount of savings and enhancing their savings habits. It is important to note, the year-long savings program was another idea that was brought forth by the women themselves. Screen printing: The idea of implementing screen printing has been a dream of Creamos for quite some time. This year, we plan on introducing the skill and concept to our participants, but moving forward in a mindful way. We plan to facilitate quarterly workshops where women will be taught the basics of screen-printing. 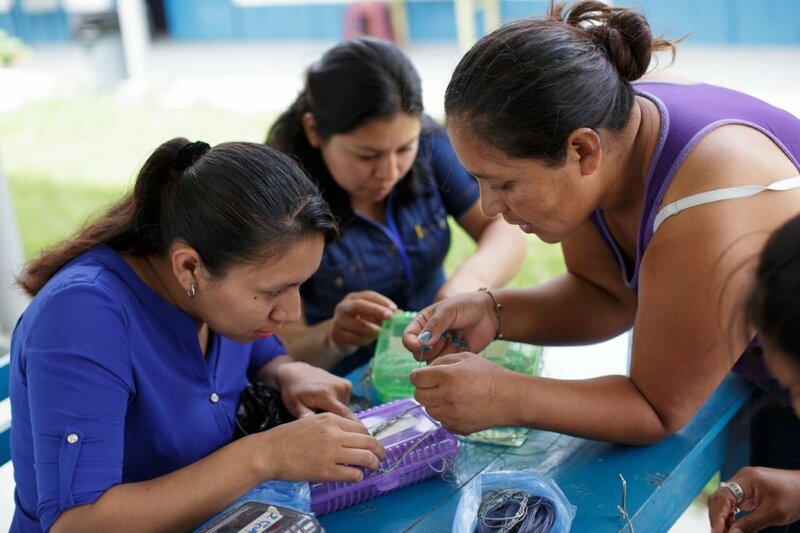 Through these workshops, our women will be able to make unique products that we will sell through local brands. Our women will be able to earn a higher percentage on these products, which is supplementary income to the money they earn through wholesale orders. Although we are enthusiastic to add this component to the sewing program, we also need to ensure women have sufficient time to cultivate their sewing ability. This year will be chapter one of our screen printing endeavor and we want to make sure it is implemented with thought and precision. 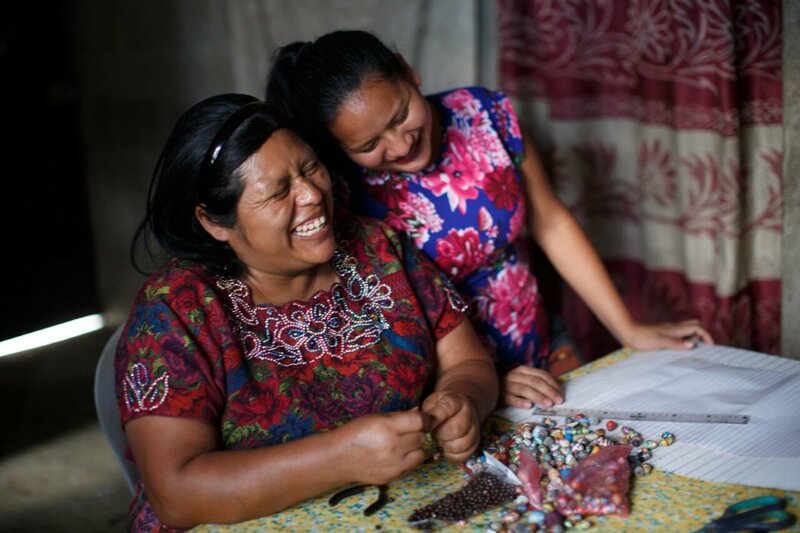 Liby and Eva are two of the 135 women Creamos has supported last year. As the newest members of our sewing program, the two have also began to strategize how they will begin to prepare for their university exams – a dream they both thought was not going to come true a year ago. 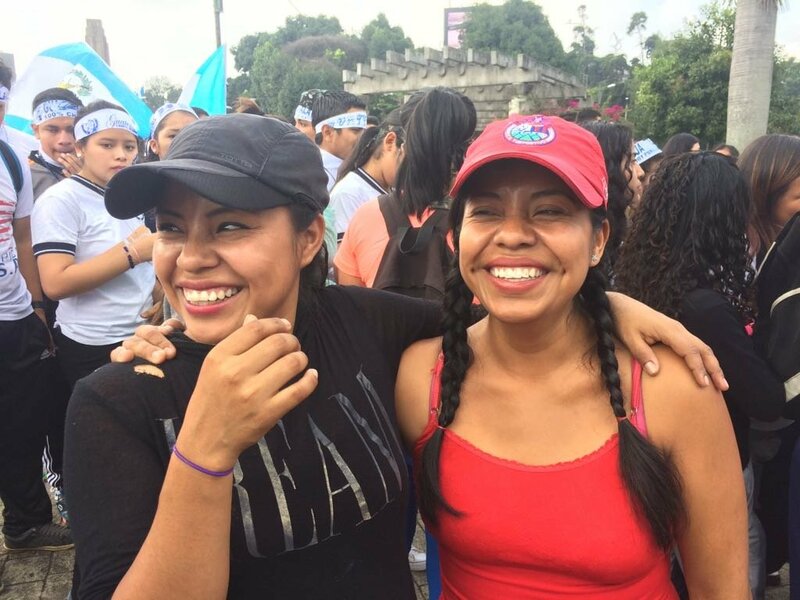 We are hopeful that with our new additions to Creamos, we can see more women like Liby and Eva have the opportunities to grow, as well as create more opportunities for their future.